When it comes to deep house in Sheffield there’s one place you want to be – Muzik Events. 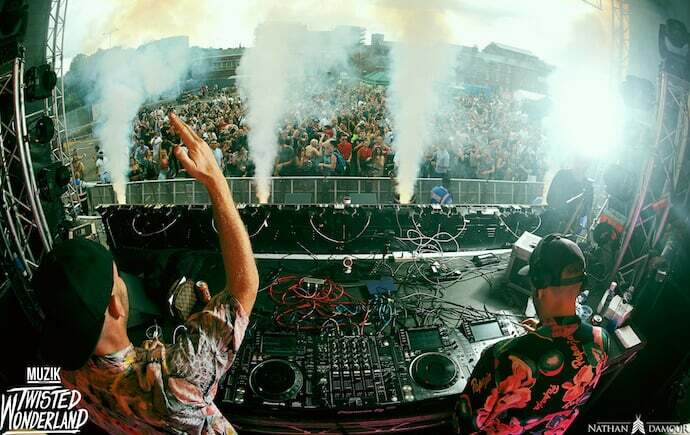 With their massive Twisted Wonderland day festival off to a blinding start back in July, the clubnight is more popular than ever and on the cusp of going gargantuan. 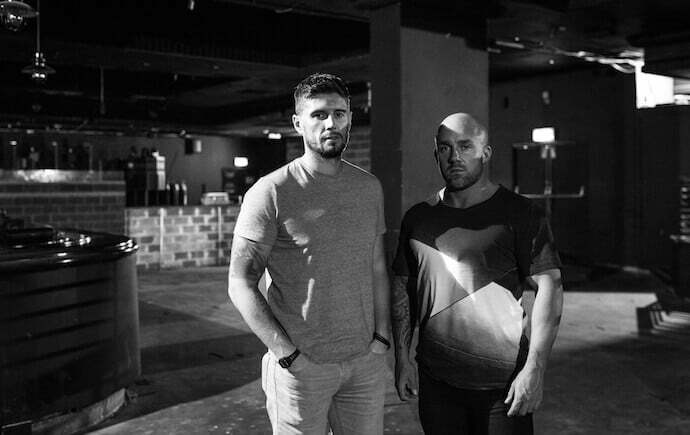 Founders Lee Freeman and Steve Lynam aka L&F Projekt gave us some exclusive tracks and an update ahead of their busy schedule down at their second home, Code. Your 2017 just keeps getting bigger and bigger – Twisted Wonderland and your July Parties were a massive success – and you’re back with a huge lineup for the autumn season. What’s the long term aim with all this? Yeah, we had an awesome weekend in July and it just made us hungrier than ever for the next events. Our long term aim is to just keep bringing bigger and bigger line ups to Sheffield, showcasing fresh talent and giving our loyal customers more unforgettable experiences, it’s their event after all. Do you want to give us a quick history of Muzik and how you started? Muzik was born in Ibiza on Steve’s stag party believe it or not, we’d both been promoters for years, I ran Love to be… and then Plug for 9 years – Steve created and promoted De:Bug and then Fez. Whilst laid by the pool and after a couple of gins we decided to dive back in, join forces and Muzik was born. We’d love to see a Muzik festival one day! Is that on the cards? Yes it is, as we speak plans are already in place for the next Twisted Wonderland. After the success of the first event we’ve got more confidence to go bigger. This will be a 20,000 capacity 4 arena festival with over 40 artists, many of which have never played Sheffield. When the line up is released it’s going to blow a few minds for sure. Let’s talk about your autumn season, which party are you most excited for? It’s a tough call this one, with so many big events coming up! The birthday will be a special celebration for sure, and a chance for us to reward our loyal customers for their support with a 2 room, 6 artist bill. 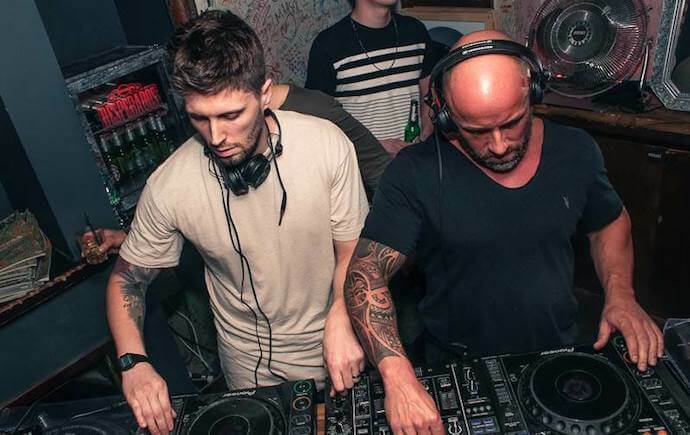 Waze & Odyssey and Huxley are two of our favourite artists who have been with us for a while – blended with Muzik debuts for Pawsa, Jacky and Leftwing & Kody. Skream’s 7 hour set in Code Warehouse on December 1st should be pretty special too! Your Halloween line up with Alan Fitzpatrick, Enrico Sanguiliano, Reset Robot and Boxia is huge! Can we expect more techno bookings? For sure, techno is becoming huge again right now and last year Sheffield wasn’t quite ready for these line ups but we knew the time was right. The response has been incredible, it’s almost sold out and and we are already in talks to bring even bigger line ups in. For the festive season we are doing both Boxing Day and New Years Eve at Code Warehouse this year, it’s our first year doing these dates so it’s unknown territory. It’s what the customers requested though so we delivered! They are tightly under wraps at the moment but expect huge Muzik line ups as always. 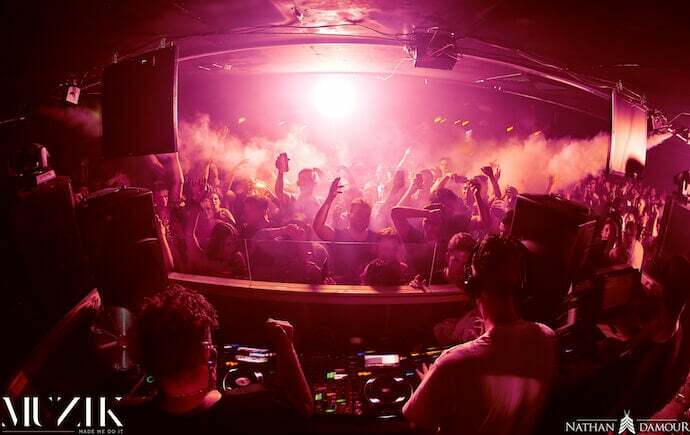 Bringing Seth Troxler to Sheffield in such an intimate setting was an incredible achievement. Would you ever book Ricardo Villalobos for example? He’s renowned for his abstract DJ sets. Yes, we are still pinching ourselves that we managed to secure one of the most exclusive DJs in the world for a 4 hour set. In regards to others this would depend on the loyal Muzik crowd. We conduct heavy market research into who people want to see and spend hours chatting to our crowd. It’s their night so they choose the bookings! As a promoter you have to sometimes detach yourselves from who you love and want to book, use your business head and listen to your customers. It’s about who they want to see and not about us. This is why so many nights fail – promoters let their emotions take over and focus on who they like rather than their crowd. Steve Lawler spoke very highly of the crowd at Muzik and rated it as one of the best nights in the UK. How do you think you’ve managed to maintain such a consistent atmosphere and attract real music lovers to your nights? By making the night ALL about the clubber and reinvesting every penny we make into bigger line ups. Muzik was and never will be about money, it was about first knowing who people want to see in Sheffield and then booking them. In March our event with Eats Everything, Skream and Solardo was already sold out when we added Detlef to the line up. People thought we were crazy but we knew it was just going to make the event even better. Skream and Eats and Solardo went back to back for 6 hours! Does the fact that you’re so at home here at Code Warehouse help? In the following 3 months they did the most incredible job working 24/7 to strip everything out, put bars and toilets in and build the DJ booth. In went the system and lights and we launched Code Warehouse with a sold out bank holiday party with Oxia. We are very happy to now call that dark, atmospheric warehouse our home. L&F Projekt is us! We have also joined forces in the studio and been hard at work the last few months. Check out our exclusive track for Exposed below! We now have over 12 tracks complete that we can’t wait to release in the world! Watch this space…. Great chatting to you Muzik! Best of luck with the autumn Season. 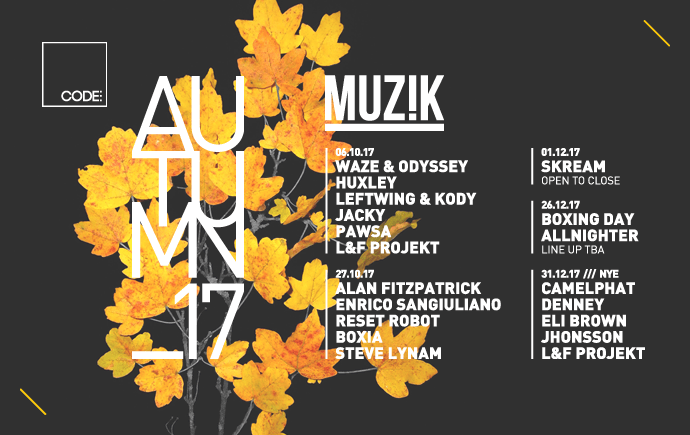 To see details on Muzik Events’ autumn season head to the promoters tab in the new nightlife section of our website and click Muzik. Muzik Events first hit Code this autumn on Friday October 6th with Waze & Odyssey, Huxley and many more. Tickets for all 5 events this season are available here.